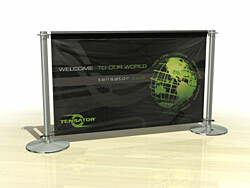 The high-grade stainless steel banner is premium quality, stylish and customisable. Made with heavy weight bases, this solution is robust, with rust retardant properties that can be used outside, but is still manageable for easy assembly, complete with a 12mth warranty. 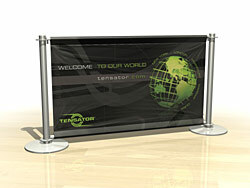 The chrome banner is a robust yet portable solution. 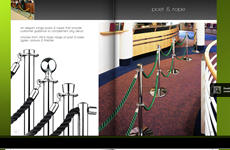 With elasticated hooks at the base of the banner, the system is easy to install, dismantle and store, making this a low cost method of creating an area and communicating messages to customers.